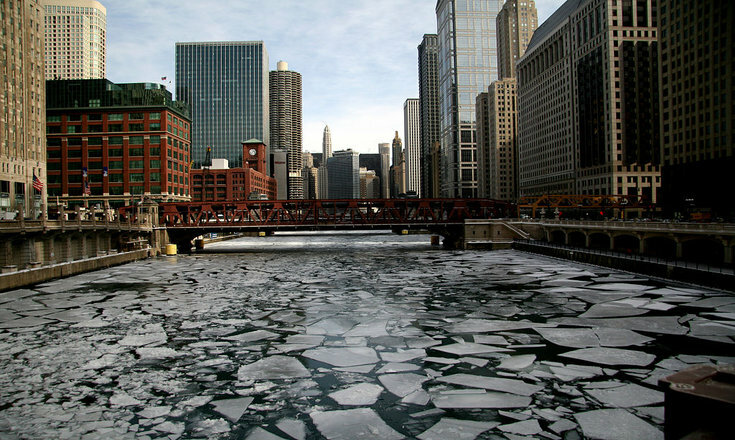 Two weeks ago, temperatures in Chicago hit a record low -54 windchill. The Cook County courts closed for two days, and a young Black man ended up in jail as a result of the impending confusion. The day before the closures, Cook County announced that it would reschedule everyone’s court appearances. That message didn’t reach 19-year old Jeremiah Harris, who traveled across the frigid city to attend his court date only to arrive at the court house and find the doors locked. When he reported to his probation officer at his normally scheduled time, he was jailed for a violation of his probation for missing the rescheduled court date, which he hadn’t received notice of. The default outcome for such an obvious misunderstanding should not be incarceration. At this time, it is unclear how updated court dates were communicated to people with court dates scheduled during the closure. While we learned about Jeremiah Harris’s situation due to a CBS2 new story, it is not known how many people have been incarcerated or had warrants put out for their arrest for missing rescheduled court dates in the wake of the polar vortex.